Powerful form and perfect weightlifting starts from the ground up. 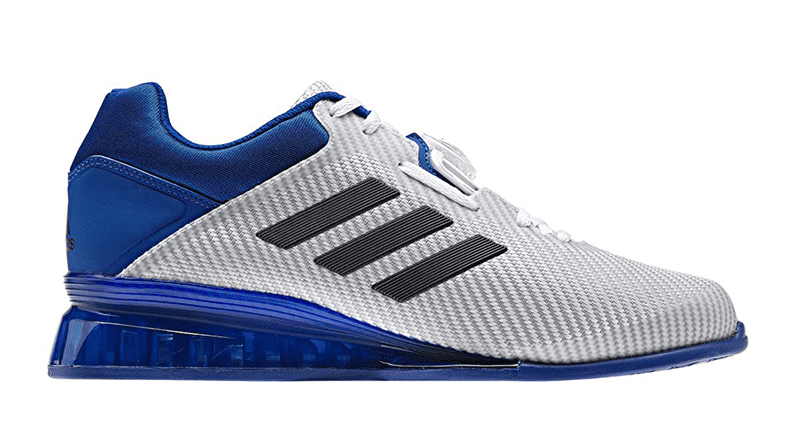 The Adidas Leistung 16 II is an upgraded model of the official weightlifting shoe of The 2016 Rio Olympics. This new edition improves and refines a model that has already broken many world records, and operates and delivers excellence at the highest levels in the sport. So how has the shoe evolved? Alongside other advancements, a completely new material has been utilised for the entire upper. The Boa Closure System has been upgraded and the style and colourways have been completely revamped. The enhanced material of the upper. The new synthetic woven material is much more flexible for the toes and natural bend of the foot, making it perfect for stabilising the back foot during split jerks. This gave me more flexibility throughout every lift and I had a much lighter impression in general in comparison to the previous model. The shoes felt responsive and sensitive to the movement of my feet. 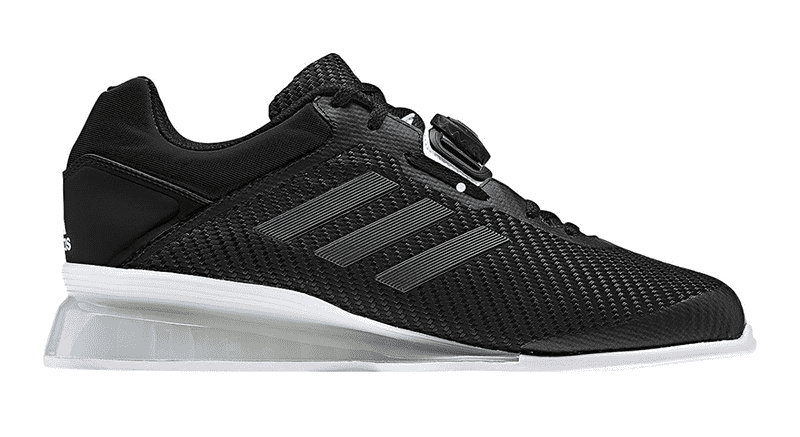 All weightlifting shoes take time to break in, but the new upper of the Adidas Leistung 16 II provides a decent amount of flexibility from the start. 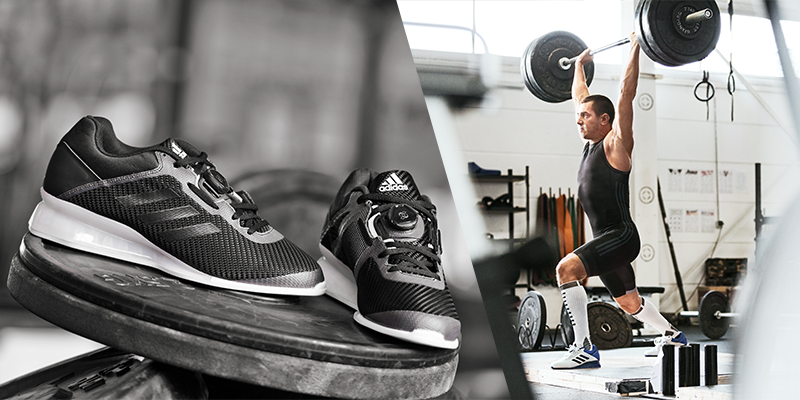 You will still need to get a few sessions under your belt until they are properly worn in, but this is the case with all decent weightlifting shoes. The Boa Lacing System on the Adidas Leistung 16 II has been altered from the previous model. The improved Boa Closure System. 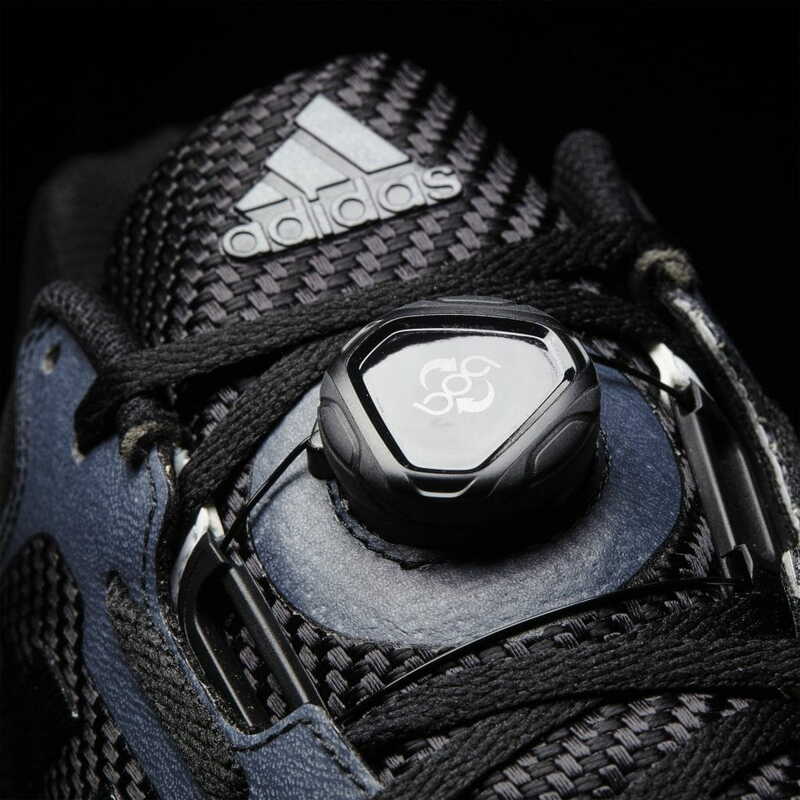 One issue that some athletes found with the Adidas Leistung 16 was that the Boa Closure System gave good support around the middle of the foot, but left the ankle slightly open. The designers addressed this concern and introduced laces in order to combine the best technical elements of both. The new Boa Closure System now operates like an effective strap that fastens and secures the midfoot into place. The laces can then be used to tighten up the shoe around the ankles and create a powerful fit based on your exact preferences for lifting. As the Boa Closure System is integrated into the fabric of the shoe, this grip also works in tandem with the flexibility of the synthetic woven upper to allow for quick, responsive movements and explosive lifting. I found this kept the shoe tight and secure throughout every session I put them through. 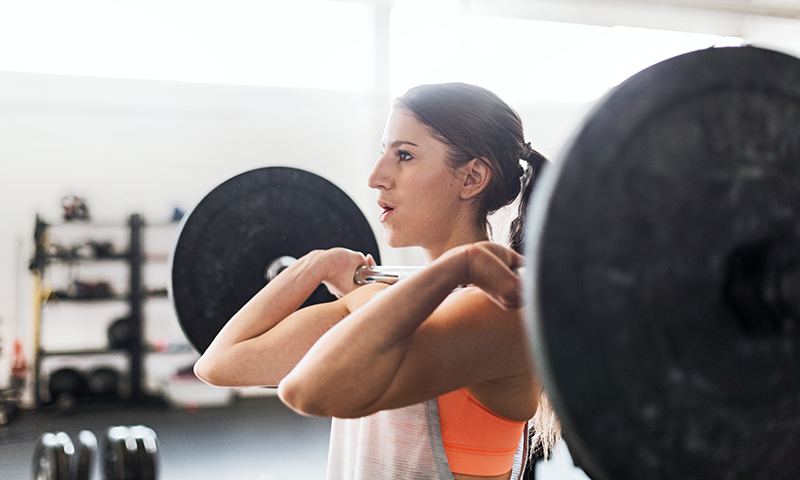 Lock yourself into an optimal lifting position. The one-inch (24.8 mm) heel is great for athletes with longer femurs and shins. Or with poor ankle and hip mobility. This is a high raise, but locks your body into an optimal position for lifting. It is worth noting that you should never use weightlifting shoes as a crutch for mobility problems. If your dorsiflexion or hip mobility needs a lot of work then develop these aspects of your mobility in parallel to lifting in Olympic lifting shoes. This will allow you to develop your technique and strength by benefiting from the optimised body position that the Leistung 16 II will place you in, yet simultaneously become a more flexible athlete with full and effective movement patterns. 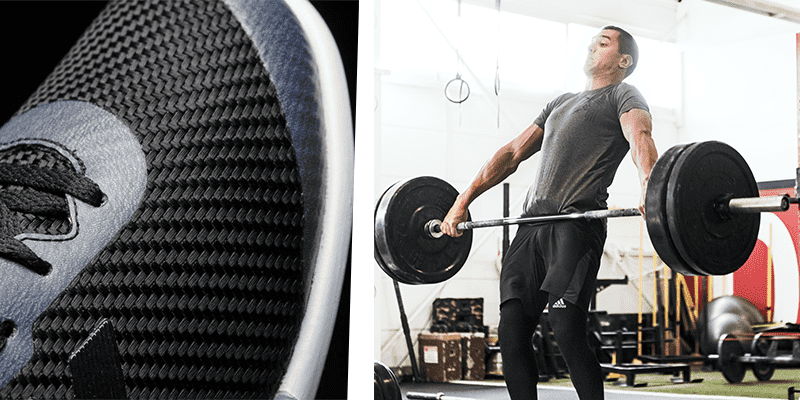 The wide platform of the Adidas Leistung II, combined with the heel, will also help align your posture to maximize your form for squats, cleans and snatches. 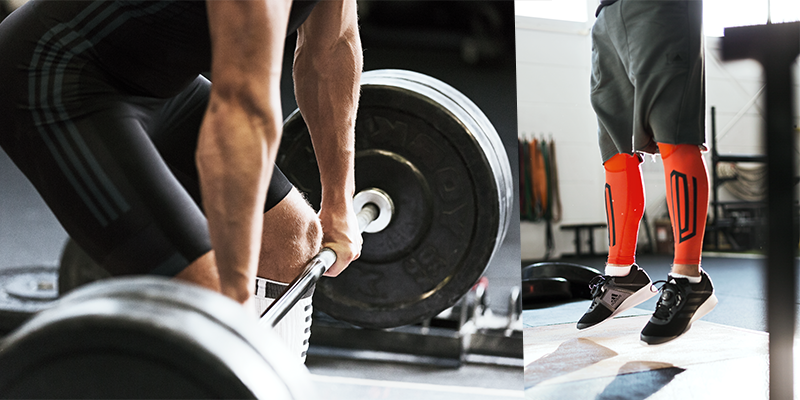 The shoe creates a powerful feeling of stability that instills confidence when you lift. Lift with confidence in yourself and your equipment. The lightweight material of the heel is incredibly sturdy and shock resistant. This makes it easy to generate power for lifts. The shoe provides a stable base from which it is possible to feel the downward push you make as you drive the bar upwards in the first pull phase of your lifts. The same is true of compound barbell lifts such as squats or deadlifts. A rearfoot cradle design works with the flexible forefoot to transfer power and maintain stability under pressure. This helps to stop any heel slippage, especially for jerks. The Adidas Leistung II is much more refined, ascetic and stylish than the previous model. From shell toes to the Ultraboost collection, Adidas have always had a penchant for creating classic shoes and iconoclastic silhouettes. With these weightlifting shoes they have avoided any overbearing colours in favour of a serious and sleek look to match the discipline and focused efforts of your lifting. The shoes weight in at 17oz. They don’t feel clumpy and the synthetic woven upper allows for free and responsive movement. When coupled with the Boa Closure System and solid base, you have an elite shoe designed for top level performance. Lift in style with confidence and pride.